Tenix Solutions are industry leaders in providing end-to-end compliance management, digital platforms, infringement processing and collections services for government enterprises and private sector organisations. “The addition of Tenix Solutions aligns perfectly with our existing suite of best-in-class compliance and smart city technology solutions”, said Declan Ryan, Chief Executive Officer, DCA. For DCA, this acquisition is a logical step in the next phase of our business transformation. It aligns directly with our existing markets and provides complementary solutions to drive modern digital experiences for ourclients”. Tenix Solutions and DCA have a long history of collaborating to offer Local Governments across Australia a complete compliance management solution. “The merge of the DCA and Tenix Solutions businesses gives us the ability to extend this offer to include a full suite of services that can potentially reshape the way municipalities manage their assets”, Mr Ryan said. The addition of Tenix Solutions customer base and expert team is a prominent milestone for DCA. The combined business will offer DCA’s client base a broader suite of services and solutions and will add an additional 200 staff to the group. Primary strategic markets for the combined operations are local government, universities and transport authorities. 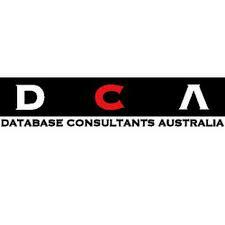 DCA are proudly Australian owned and conduct business in four countries. Their 400+ passionate employees and local development team are dedicated to turning client’s ideas into commercial reality.